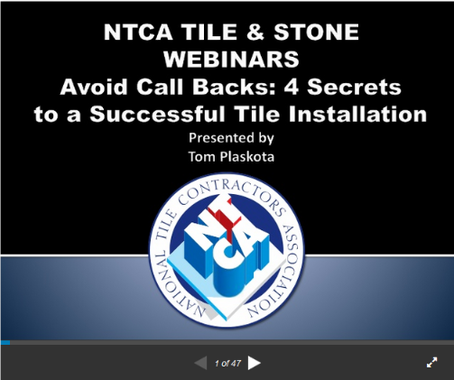 I recently presented the webinar “Avoid Call Backs: 4 Secrets to a Successful Tile Installation”. The webinar, which was hosted by the NTCA and sponsored by TEC, gives insight into proper surface preparation and tile installation strategies. You can also listen to the webinar recording here.